It’s been a very eventful year for those of us who advocate for better schools – across the country, but especially here in New York. Below I focus on some of the best and worst education developments from the perspective of someone who believes that the corporate reform agenda of privatization, high-stakes testing, data collection and online learning ignores research, disrespects parents’ priorities about the kind of education they want for their kids, and treats children not as the complex, many faceted individuals they are, but as interchangeable widgets to be assessed, ranked and controlled. 1. 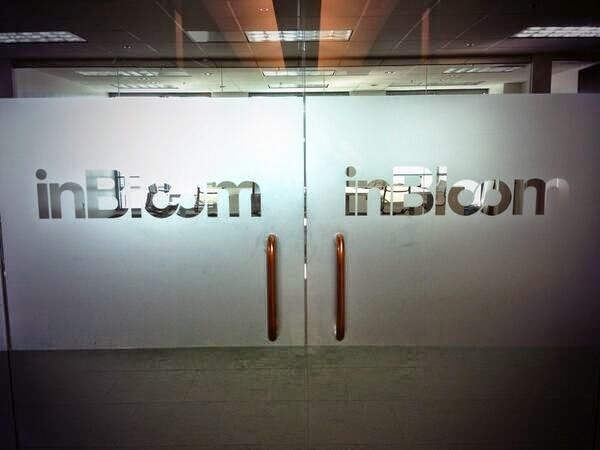 InBloom closed its doors. 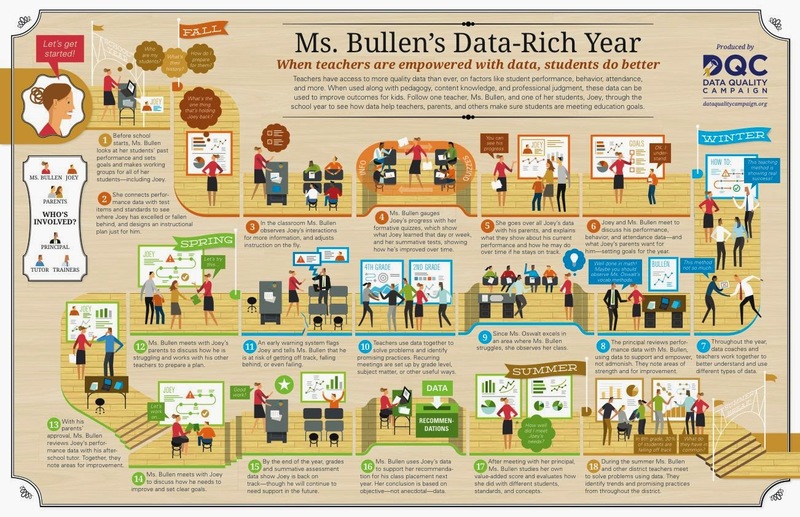 I I started blogging about this $100 million datapalooza project of the Gates Foundation in August 2011, when it was still called the Shared Learning Collaborative. Though neither the Gates Foundation nor NY state were willing to “share” much information about their plans with parents, the more I learned the more distressed I became at the huge risks to student privacy and security this project represented. With the help of Diane Ravitch’s blog, and Stephanie Simon, then a reporter at Reuters and now at Politico, parent activists throughout the nation whose children's most sensitive data was to be shared with inBloom and had been told nothing about this were alerted. Their protests in turn persuaded every state participating to pull out, one by one. (Here’s a timeline of events.) Here in New York, the battle was fiercest – and it took a law passed by the Legislature at the end of March to block Commissioner King from disclosing the highly sensitive information of the entire state’s public school population to inBloom, and via inBloom with three data dashboard companies. New York was the last of the corporation’s customers to pull out, and the company closed its doors in April. Yet as a result of the inBloom controversy, parents were made aware of the way schools, districts and states were already sharing personal student data with a wide variety of contractors, vendors and other third parties, with little or no oversight. In a way, the arrogance of the Gates Foundation and their refusal to listen to our concerns did us a favor by helping to kickstart a national debate on student privacy that has not yet abated. After inBloom’s demise, we joined with many of the activists who had fought inBloom in their own states to form a new national organization called the Parent Coalition for Student Privacy, to provide information to parents on the rights they still have to protect their children’s privacy– many of which are being ignored by schools and districts, as well as what questions they should be asking their schools and vendors. We are also dedicated towards closing the loopholes in the federal law known as FERPA. Our website is at www.studentprivacymatters.org, our FB page is here, our twitter handle is @parents4privacy, and we encourage you to take a look and join us. 2. A national revolt against the defective Common Core standards and the expansion of high-stakes testing erupted, with 60,000 students opting out of state exams in NY last spring alone. 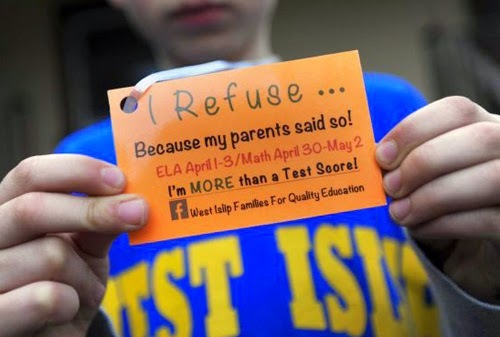 Because of fierce public pushback, many Governors have begun to question their support for the flawed standards and several have withdrawn from the multi-state testing consortia, designed to collect and share personal data in much the same way that inBloom intended. This grassroots rebellion has been led by advocates from the right and the left, but mostly by parents who have no particular political affiliation at all -- but are alarmed at how their children are being stressed and their education undermined by excessive test prep, deficient curricula and flawed exams. 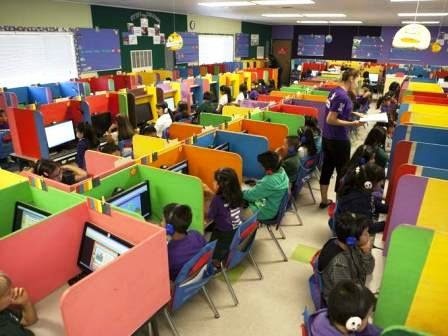 National polls also show rapidly growing opposition to the Common Core and high stakes testing – which along with data collection and online learning are the centerpieces of the Gates-funded corporate-backed agenda. 3. 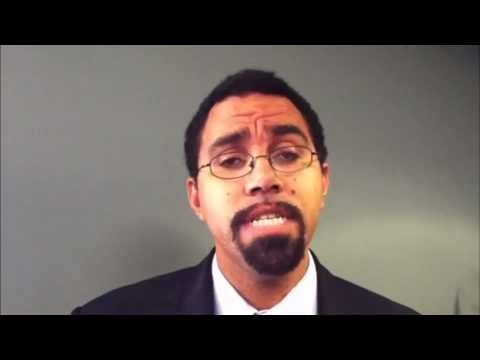 NY Education Commissioner John King resigned. unpopular commissioner in the history of NY State and showed little or no respect for parents, teachers or student privacy. King’s departure capped a year in which many other controversial corporate reformers announced their departure, including NJ Commissioner Chris Cerf, Oklahoma’s education chief Janet Barresi (who lost re-election), Idaho’s Tom Luna, Tennessee Commissioner Kevin Huffman and Los Angeles Superintendent John Deasy. Starting January 1, there will be more than twice as many “emeritus” former education state heads as members of Jeb Bush’s Chiefs for Change (nine) than current office holders (four.) In addition, Michelle Rhee announced she was quitting as CEO of StudentsFirst, the organization she started in 2010; at the same time, her organization was forced to radically retrench and close chapters around the country. Similarly, Teach for America eliminated its NY office and revealed it is finding it more difficult to recruit candidates, because of the controversies around its role in school reform. status quo agenda – including Network for Public Education (founded by Diane Ravitch and on whose board I sit) which had our first national conference last spring and will have our next one in Chicago April 25 – 26 (proposals for workshops accepted now.) Other groups advocating for progressive and evidence-based school reforms include the fearless Badass Teachers Association, Save our Schools, United Opt out, Parents Across America , and our state coalition, NY State Allies for Public Education. 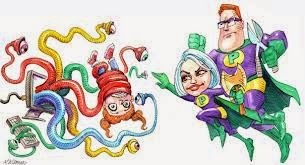 All these groups are working together – with authentic grassroots support as opposed to the astroturf organizations bankrolled by billionaires -- to counter the corporate attempt to dismantle public education and instead to strengthen our public schools, by means of evidence-based reforms. 1. In NY, the hegemony of the hedge funders continues unabated. 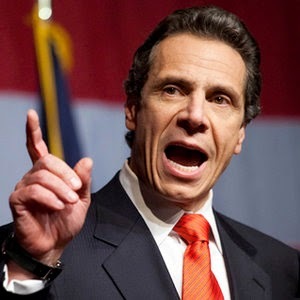 They provided millions in donations to Governor Cuomo, who won re-election, though the election was closer than had been anticipated and his vote total was the lowest for Governor in at least forty years. The hedge-fund pro-charter lobby was also the biggest contributors to the State Senate elections, and their money helped elect a majority of GOP members. 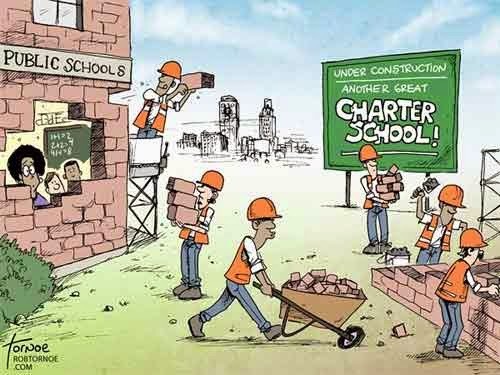 Though these billionaires’ main issue is pushing for the further expansion of charter schools and the hostile takeover of public education, the words “charter schools” were never mentioned in the ads they ran, as their candidates campaigned in swing districts where charters are a vehemently opposed. These privateers also persuaded our Governor to push through a new law as part of the state budget that undermines mayoral control – which they supported when Bloomberg was in office but not when NYC voters elected a mayor who did not support the push towards privatization and favoring charters over public schools. The new law requires the city to provide free space to any new or expanded charter school going forward – which will further overcrowd our exceedingly overcrowded schools or force city taxpayers to spend millions leasing them private space. his appointed Chancellor just approved the co-location of 12 new charter schools in existing school buildings, which will further deprive NYC students of their right to be provided with a well-rounded education with reasonable class sizes. 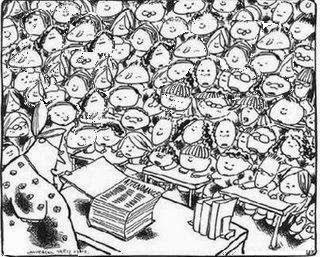 Despite numerous promises when he ran for Mayor, neither de Blasio nor Chancellor Farina have shown any interest in reducing class size, the number one priority of NYC parents. The union contract they negotiated eliminated the only chance for struggling students to be taught in small groups, and did not address class size – despite the fact that union contractual limits in NYC schools have not been lowered in forty years. The administration also ignored a letter signed by 73 professors of education and psychology, urging the reduction in class sizes lest the benefits of their initiatives for expanded preK, community schools and special education inclusion be undermined. Every time the need to reduce class size was brought up in town hall meetings – as it was by parents at least six times – the Chancellor dismissed their concerns. 3. The de Blasio administration and Chancellor Farina also showed little interest in tackling the worsening crisis of school overcrowding -- made worse by the new charter law. There are many communities in NYC that have waited for a decade for a new public school in their neighborhood, and thousands of city students continue to sit in trailers, on waiting lists for Kindergarten, and in overcrowded public schools with huge class sizes. 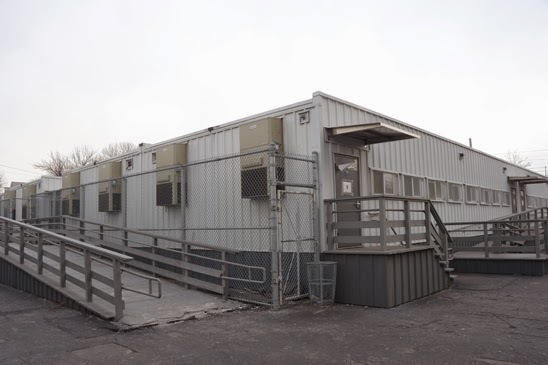 Yet the capital plan for school construction the city introduced in February and re-submitted last month with only minor changes would build less than one third of the additional seats needed to alleviate existing overcrowding and address future enrollment growth. This is yet another area in which the administration has made no improvement from the last one – despite our report, Space Crunch, and another from the NYC Comptroller showing a crisis in school overcrowding that is steadily getting worse. And the DOE officials continue to put out fake data, under counting the number of high school students sitting in trailers by many thousands. 4. 4. The Vergara decision in California and a copycat lawsuit in New York grabbed the media’s attention and sucked up all the oxygen in the room, focusing on the red herring of eliminating teacher tenure as the solution to struggling schools, rather than proven reforms like class size reduction, which could help lower the high levels of teacher attrition in these schools. Campbell Brown stepped into the spotlight, replacing Michelle Rhee as the media spokesperson for the “blame teachers first” crowd. 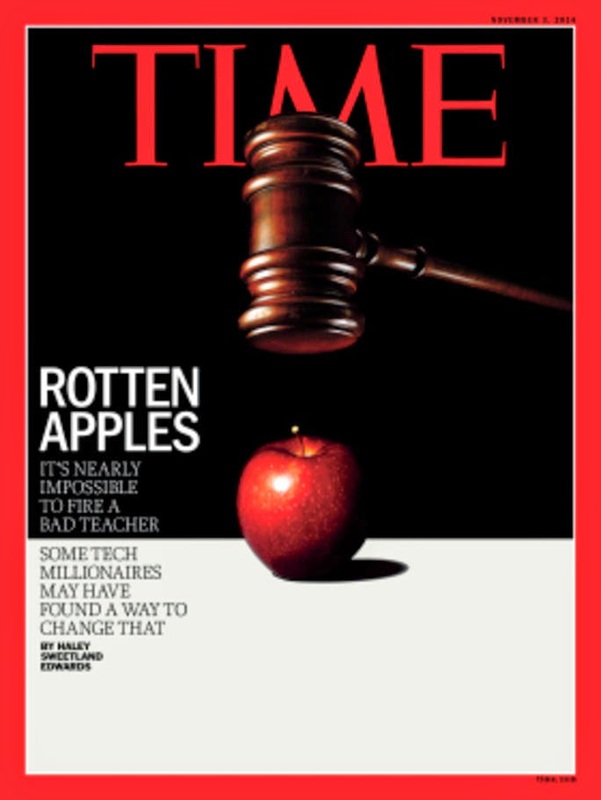 Time magazine with an incendiary cover jumped on the bandwagon – though the story inside was not nearly as bad – and together, these high-profile cases managed to divert attention from the issues that really matter. The corporate reformers have sucked the life out of teaching and learning. The real purpose of education is lost in a blizzard of data – numbers entered onto a rubric to become bits of data – trillions of 0’s and 1’s about each child are flying at high speed, tracked and collecting in data banks like so many feet of snow to be mined for corporate profits – icy cold they create systems of punishment as dangerous crevices – an abyss of corporate created failure – a place devoid of all humanity for children and teachers to try to traverse. Of course, the real motivation of these edupreneurs is to further inflate the eight billion dollar ed tech market - which continues to expand every year, taking resources away from schools and the kids who need authentic learning the most in the form of human feedback from their teachers in small classes, but are denied their right so that companies can make profits off imposing an inhumane system of mechanized depersonalized learning instead. In several ways, 2014 was a watershed year for Class Size Matters. We led the fight for student privacy and defeated inBloom Inc.
We were the first to draw attention to this massive $100 million student data repository in August of 2011, designed to collect maximum amounts of children’s highly sensitive information and share it with numerous third party vendors without parental notification or consent. We held press conferences, rallies, town hall meetings, and spoke at forums over the course of the next two and half years. We reached out to parent activists in the eight other inBloom states, and every state that had been cited as participating in this project pulled out, one by one. After the NY Legislature passed a law blocking its attempt to access students’ personal data, the company closed its doors last spring. Please consider giving Class Size Matters a tax-deductible donation so our work can continue, as we have learned that inBloom is just the tip of the iceberg. The inBloom controversy kick-started a national debate on student privacy which has not yet abated. Parents and other concerned citizens throughout the country discovered for the first time that children’s privacy and safety were at risk through excessive and widespread data-mining, collection and sharing, enabled and encouraged by the weakening of the federal law known as FERPA. The expansion of data disclosure has also occurred as a result of the efforts of for-profit vendors to gain a share of the rapidly growing market for educational software, now estimated at more than $7.9 billion, with the goal of expanding instruction through computers rather than actual human interaction. In addition, states are creating cradle-to-the-grave data systems, tracking students from birth onwards by amassing personal information from many governmental agencies and higher education institutions. There are literally thousands of data-mining programs now being used in schools, without proper oversight or control. As a result of the growing awareness of the risks involved, twenty states passed new student privacy laws this year, including New York. Last summer, we formed a new national organization called the Parent Coalition for Student Privacy, dedicated to providing information on how parents can best protect their children’s privacy, and we are working to minimize student data mining, collecting, and disclosure without consent. Our website at www.studentprivacymatters.org has fact sheets and opt out forms available. We also continued our analysis, outreach and advocacy on issues related to class size. Last spring, we published an authoritative report, Space Crunch, on the worsening overcrowding crisis and how the NYC’s plan to build new schools will produce less than one third the seats required, given existing overcrowding, rising enrollment, and the need to reduce class size. We also sounded the alarm about the continuing trend of growing class sizes -- and how more than 360,000 NYC students are now crammed into classes of thirty or larger. This fall, 73 professors of education and psychology cited these figures in a letter to Chancellor Fariña, warning her that these excessive class sizes will undermine the benefits of the DOE’s initiatives of expanded preK, inclusion of special education students, and community schools. We provided testimony to the City Council on the negative impact of large classes on students with disabilities, and our testimony on charters, called Six Charter Myths, went viral. We sent letters to the Chancellor on the need to provide class size and overcrowding data on the School Progress Reports, and calling for an immediate moratorium on any more school co-locations until all public school students are provided with a quality education, including smaller classes. Diane Ravitch has called our NYC education list serve “terrific and informative,” and our blog, NYC Public School Parents, continues to be a valuable source of news and commentary. Our Class Size Matters newsletter now has more than six thousand subscribers. We were quoted more than 100 times in the mainstream media this year, on issues ranging from student privacy, class size, and school overcrowding, to the corporate agenda of excessive testing, digital learning, charter schools and the Common Core. But we rely on your contributions to keep going. Please consider making a tax-deductible donation to Class Size Matters – as much as you can afford by clicking here, sending a check to the address below, or going to our website at www.classsizematters.org. We still have so much to achieve before our children are provided with the privacy and individualized attention they need. Happy holidays and thanks as ever for your support. Whatever favorable reviews Joel Klein has gotten for his new book, "Lessons of Hope" have mostly been written by people who did not experience his failed policies as NYC Chancellor. If you want to read illuminating accounts, I recommend Diane Ravitch, Helen Zelon in the Observer, or Gary Rubinstein's blog, all of whom offer important reflections on Klein's record. 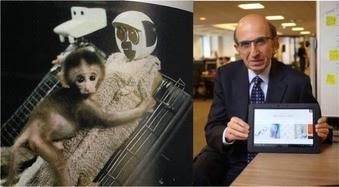 I could write about the tremendous waste and corruption of the many multi-million dollar contracts he handed off so recklessly, for example to Wireless Generation for ARIS and/or Future Technology Associates. I could write about his obvious mismanagement style, re-organizing the governance structure continually, creating more chaos and confusion than the steady hand the school district needed and deserved. I could also write about his evident contempt for parents, teachers, and the law itself, with one of his favorite phrases when challenged being, "So sue me." But in the below I focus on the evidence that Klein himself would recognize as damning if he were to be intellectually consistent in his emphasis on test scores as the best measure of accountability: the fact that NYC made less progress than any other city as measured by results on the federal assessments known as the NAEPs, except for Cleveland, over the course of his administration.